Travelling in one of the UK’s largest cities can be daunting. Hence, whether you are a student or working in a firm in the city, commuting in Leicester is easier when riding a scooter. Very affordable and easy to learn, scooters are a great alternative to public transport and four-wheelers, especially during rush hour. This article examines the benefits of owning a scooter in Leicester and why you should own one of ours. Why Own a Scooter in Leicester? Faster in Traffic: Scooters manoeuvrability enables you to glide through tiny gaps in traffic, allowing you get to your destination earlier. Parking: Because you can park it almost anywhere, a scooter eliminates the hassle of looking for a parking space and saves you money. Minimum Age: You can ride a car only when you clock 17. A scooter lets you get on the road earlier at 16. Fuel Economy: Scooter lasts for days and even weeks before you need to refill their tanks again, ensuring you spend less money on fuel. Why Choose One of Ours? Price: Available for between £999 and £1099, our scooters are some of the cheapestyou’ll find in Leicester. This is because we get them for you directly from the manufacturer. Finance Options: There are also finance options that enable you to pay bit by bit if you cannot pay at once. Insurance: We also help you find the cheapest insurance deals by comparing top insurers in the country. Designs: We have a variety ofdesignand colour options available. You can also choose to customise your scooter according to your colour preference. Although we have no dealerships in Leicester, we can deliver to any location in the city. All you have to do is fill in your delivery details when making payment. We’ll use the information to calculate the cost of delivery and determine the best time for your scooter’s arrival. 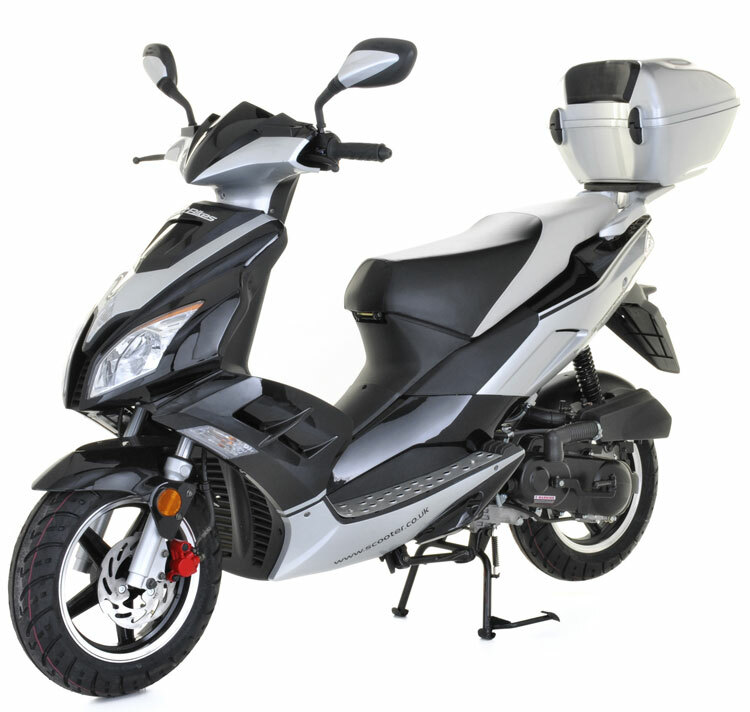 Order one of our 50cc or 125cc scooters today and enjoy hassle-free rides around the city!